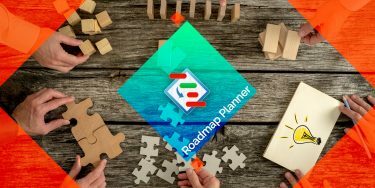 According to the business dictionary, a strategic plan is a roadmap to achieving both short- and long-term goals of a company. As you can see, this definition doesn’t contain any big words like differentiation or synergy. However, some might think that the definition sounds a little vague. And when they actually move to creating their company strategic plan, they often find themselves with no clear understanding of what this plan should look like. You wouldn’t want to end up among them, would you? Running your own business is an incredible journey. In order to cut losses and reach success(-es? ), your roadmap has to be as clear and result-oriented as possible. 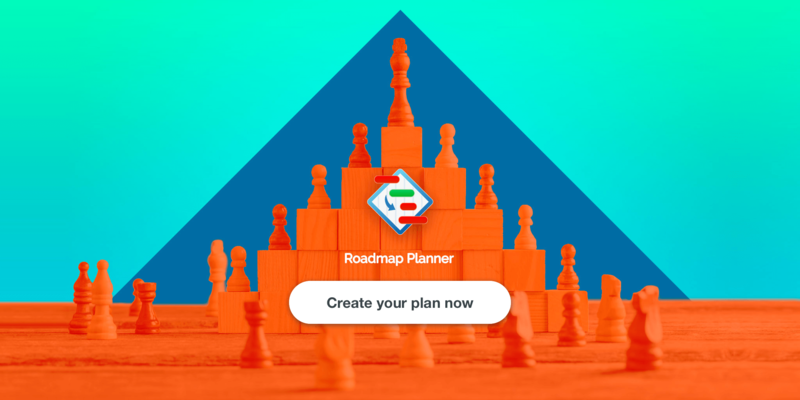 That’s why Roadmap Planner team prepared this extensive guide on how to create your company strategic plan and which components you definitely shouldn’t miss. Check it out! This section has to contain a short description of the whole plan. You should include time period, other components of the plan, date of approval, and list of authors. This is more like an elevator pitch. Here you have to write a history of your organization, a description of your business, and other information that you deem necessary. This section is for the most part written for your newcomer top managers, supporting partners, and investors. It also helps your current workers to better understand what your business is. We’ve already described the importance of this section and how to develop a mission statement previously. Mission is the main reason of your organization’s existence, it answers the question why. It is not the final objective but rather a direction in which your company wants to move. A mission statement also helps your workers to make the right decisions in their workplace. It is not the same as mission. Vision is how you see your company’s development. It is a dream of what you want to achieve some day, and a roadmap of your path towards this. This section should be based on your corporate culture. In a nutshell, values are philosophies and principles of your organization. This is actually a more detailed description of your mission statement. For instance, a core value of Apple inc. is commitment to innovation. SWOT analysis has also been described on our blog recently. This technique will help you to analyze your strengths and opportunities in order to reduce weaknesses and avoid threats. This step in your company strategic plan is an important part of providing context for your future development. It is great if you can create an objective tree. This is a method when you identify higher- (strategic 5-year goals), middle- (operational 1-year goals), and lower-level (tactical 1-month goals) of your company objectives. After that, you draw the tree that demonstrates a hierarchical relationship between them. Remember that your goals have to be SMART (Specific, Measurable, Assignable, Realistic, and Time-related). This acronym stands for Key Performance Indicators. Thanks to this section, you will monitor the effectiveness of your strategic plan implementation. In other words, KPIs will become your method of evaluation. This could be total sales, number of blog subscribers, etc. These indicators will show when your mechanism needs to be fixed or when your roadmap is working right. In this section, you should analyze external and internal factors of your company environment. Among them we can mention such factors as economical situation, target audience, competitors, suppliers, and so on. This will help you to understand everything about your market share and determine new opportunities for growth. This is a plan on how to transform your goals into actions. Here you should map all of the projects and tasks among your teammates and visualize them. It will be perfect if you can do this in a Gantt Chart view in a sophisticated planning tool like Roadmap Planner. This way you’ll always know when your projects start, how they are going, and when they have to end. 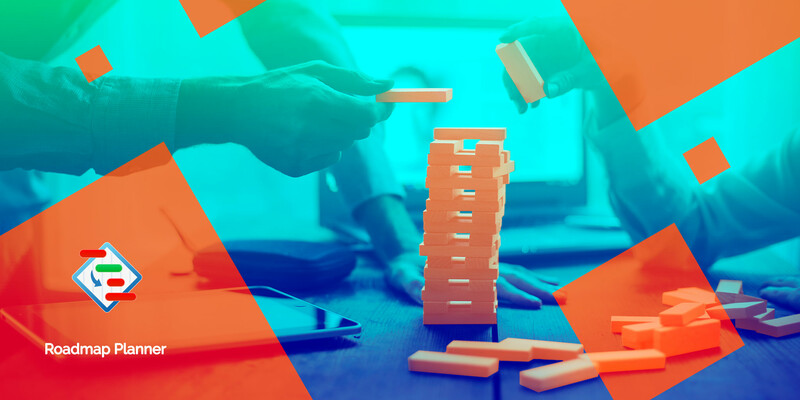 What good is a company strategy without marketing, right? This section has to describe how you are going to attract your target audience, with a detailed plan of actions. The summary of the marketing plan can be taken from the document of the same name. One of the final sections of your strategic plan involves financial estimates. This step is essential, as you can’t translate your plan into actions without money. Here you also have to map your projections that will help you to understand, for instance, how many customers you need to attract this month. Last, but certainly not least, is the bottom line of your strategic plan. This section should summarize all the aforementioned components and emphasize on achieving your strategy. Thank you for reading! We hope that it will be helpful for your business and now you understand how to create your own perfect strategic plan. If you still have any questions, leave them in the comments below. We’ll be glad to discuss them with you.